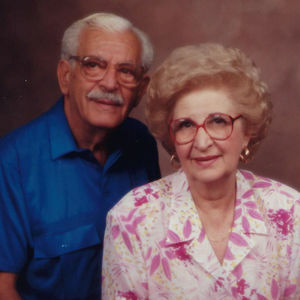 Viola G. Ciment, age 98, passed away on Tuesday, March 19, 2019 in San Antonio, Texas. She was preceded in death by her husband, Emery Ciment; her parents, Julius and Sarah Gross; and brothers, Melvin Gross and Leonard Gross. Viola is survived by her son, Peter Ciment and wife Deborah; grandchildren, Samuel Ciment and wife Joana, Daniel Ciment and wife Erin, Matthew Ciment and wife Derinda and Jessica Horowitz and husband Scott; great-grandchildren, Arden Ciment, Emory Ciment, Hudson Ciment, Liam Ciment, Gavin Pena, Colt Ciment, Levi Horowitz and Eliana Horowitz. Add your thoughts, prayers or a condolence to Viola's guestbook.